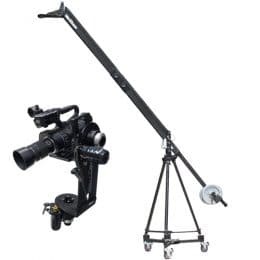 QuickJib models are a perfect balance of quality, durability, and affordable pricing. 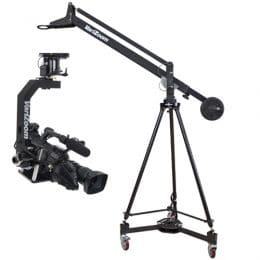 Our QuickJib packages are so compact they can fit in the back of a Honda Civic! 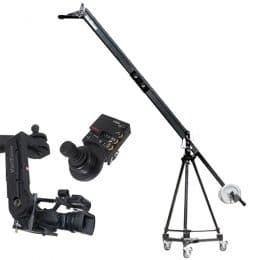 Our jibs extend easily and none of our extension kits require tools for assembly. 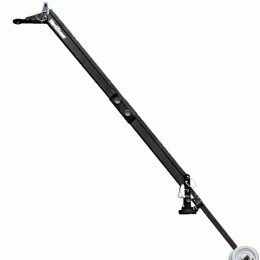 VariZoom QuickJibs can be assembled in minutes using lanyard-attached stainless aircraft pins, unlike the competitors who require you to have an extensive set of tools and matching bolts. 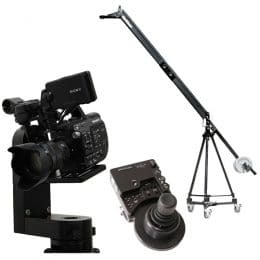 We offer excellent customer support and we stand by our products years after the warranty expires. 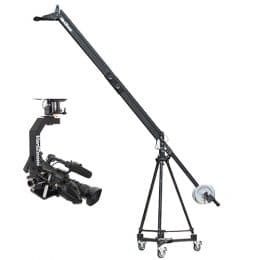 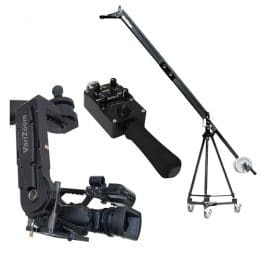 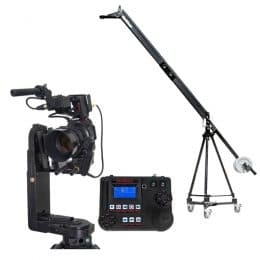 QuickJib video camera cranes jibs for digital cinema, sports, television are available with a range of remote heads, and they represent the perfect balance of quality and economy in a well thought-out design. 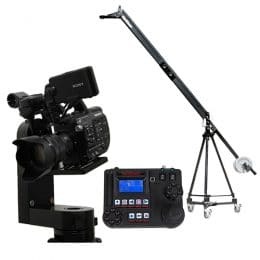 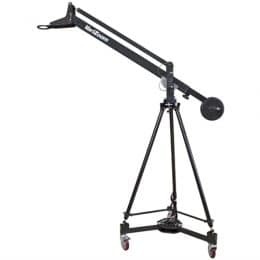 Whether using it as a sports video jib, a filmmaking jib or as a church camera crane, the Quick Jib gives you many of the features of the Snap Crane at a more affordable price. 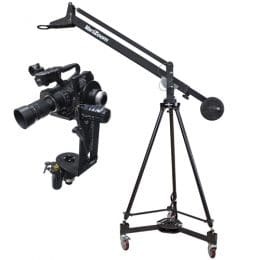 With the Quick Jib you get an economical, but secure captive clamp system for extending the jib, along with lanyard-attached stainless aircraft pins for quick assembly. 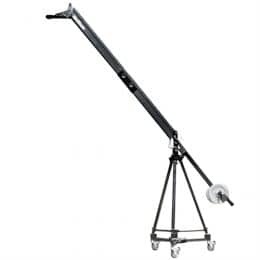 This is a professional, tool-free jib arm that assembles rapidly and safely. 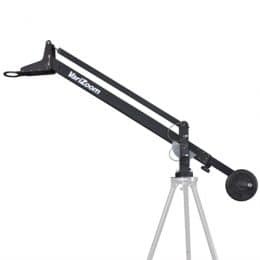 Like all of our products, it was designed for years of trouble-free, reliable operation in the field. 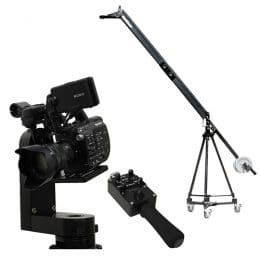 With attention to every detail, we have created a tool that will last generations with proper care.